Mother's Day Deals so you can splurge on yourself! Grab the top deals and steals and pamper yourself this Mother's Day with great fabric and patterns! Shops are hyperlinked in alphabetical order for your convenience. Thank you for supporting our affiliates and sponsors! Disclosure: Affiliate shops are noted with an *, Sponsors with **, and all others have paid a small fee for this advertisement. 5 out of4 Patterns *: 20% off your purchase between Friday, May 6th and Sunday, May 8th with the code "buyingmyowngift"
A Sparkly Baby: Celebrate this day of love with a coupon code for 25% of any purchase at A Sparkly Baby! Use coupon code MOTHERSDAY at checkout May 8 from 12am to midnight, EST! Bella Sunshine Designs *: In honor of Mother's Day, Bella Sunshine Designs is having a sale on all our Mommy & Me patterns. See our website at www.BellaSunshineDesigns.com for 25% off all bundles. Offer ends May 9th! Bobkin Designs**: Happy Mothers Day from Bobkin Designs. 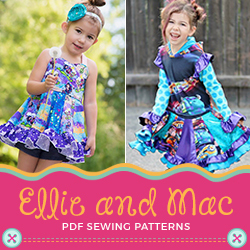 Pop on over to our website and enjoy 20% off of all of our patterns. Use the Code: MAMMASLOVE at checkout. We will begin celebrating on Friday 6th May ACST - 12pm (Thursday 5th May PDT - 7.30pm) and ending Sunday 8th May ACST - 12pm (Sunday 8th May PDT - 7.25pm). Elliedactyl: To celebrate Mother's Day, take 30% off of your entire cart total at Elliedactyl from Friday, May 6th through Sunday May 8th at Midnight CST with coupon code: Moms2016. EYMM *: Happy Mother's Day from EYMM! Use sale code MOMMYANDME2016 to save 25% off Mommy & Me Bundles on the EYMM site. Sale will be in conjunction with the EYMM Mommy & Me Blog Tour happening May 5-10, 2016. Code expires at 11:59pm PST May 10. Filles à Maman *: Flash sale! For mama from Maman! Only 6$ CDN each. Prices will are already marked down. No coupon needed. Starting saturday may 7th midnight EDT to sunday may 8th EDT. Jennuine Design *: Jennuine Design loves Moms! 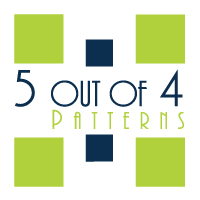 Treat yourself to some well-deserved alone time with great patterns to recharge. Take 25% off with code LOVEMOMS at www.ajennuinelife.com/shop. *Printed patterns and multi-pattern bundles excluded. Laela Jeyne Patterns**: All women's patterns will be 30% off from 5/6 to 5/10 at 11:59 PM EST! 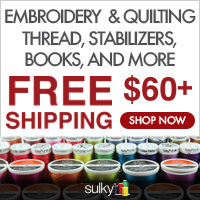 What a great way to treat yourself to some self-care sewing patterns! Lily Bird Studio**: Get a 25% OFF on your entire order with code MOTHERSDAY16. Extra 10% OFF for Lily Bird Studio's mailing list members! From May 6th until May 8th midnight. LilyGiggle** - Lilygiggle after much soul searching has decided to close up shop. 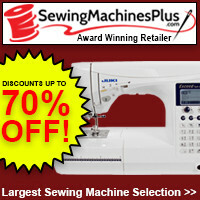 All single patterns are 60% off. There are also 2 bundle offers. One is just the 8 patterns that have been released since our relaunch in 2014. It will be $15.50. We will also be offering a Master Collection bundle that includes all 15 of the patterns that we currently sell for $22.50. This sale will last through the end of May and then the patterns will be gone for good. Little Lizard King**: Mother's Day Sale at Little Lizard King! 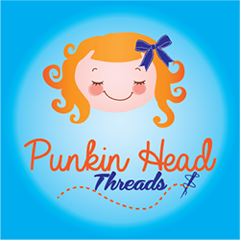 Use coupon code momandme16 to save 25% on all mom and me matching patterns from Little Lizard King! Make look-a-like Library Cardigans and/or Everyday Skirts so moms and daughters can have matching outfits! Sale ends May 10th! Love Notions *: Celebrate Mother's Day with 25% off at Love Notions! Use coupon code 'motherlove'. Coupon expires Monday 5/10 at midnight CST. Seaside Notions *: All Seaside Notions patterns will be 30% off from May 5th - May 12th. Happy Mothers day to all the moms out there! Serger Pepper Design *: All Serger Pepper Patterns are 30% off from now through Monday (5/9) midnight EST. Get your Playproof Dungaree Skirt edition or the Big Girl Briefs now! Use code LOVEMOM at checkout. Sewing Patterns by Mrs H: For 25% discount on all patterns at Sewing Patterns by Mrs H, use the code MAMA16 from today, until 16th May. With a range of PDF bag patterns for all abilities, with a variety of hardware techniques, you'll find something perfect for Mom this Sunday! Striped Swallow Designs: Happy Mother's Day!! Use coupon code "MAMABIRD" for 25% off your order at Striped Swallow Designs. The Mother's Day Sale starts on Friday, May 6th at 12:00AM CST and ends Monday, May 9th at 11:59PM CST. Excludes paper patterns and bundles. The Sewing Geek *: Happy Mother's Day! Buy one pattern get another one free at The Sewing Geek all weekend. 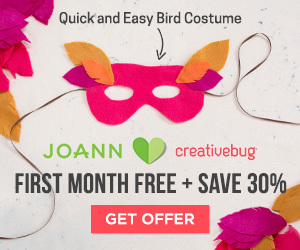 No code is necessary, the discount is taken off as you add patterns to your cart. The Mother's Day BOGO sale runs from now until 11:59 PM (EST) Sunday May 8th. Happy Sewing! 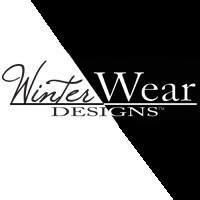 Winter Wear Designs **: Save 30% off the entire shop with code: !!WWDWEBLAUNCH16!! You can also grab the FREE Women's Trendy Tank Top for yourself with the code in the WWDFun facebook group. We hope that you truly enjoy your Mother's Day with your mothers, babies, grandbabies, fur babies, and sewing babies. From all of us here at Pattern Revolution, Happy Mother's Day.